A chemistry journal has issued a retraction after “a thorough and time-consuming analysis” revealed two out of four authors did not agree to submitting an article published in May, which also contains “considerable overlap and redundancy” with another paper published a few weeks prior in a different journal. Shortly after the paper appeared in Spectrochimica Acta Part A: Molecular and Biomolecular Spectroscopy, the journal was told “that parts of the manuscript were reused” from an article in the Journal of the Taiwan Institute of Chemical Engineers that was published online March 16. That led to the investigation, and the discovery of the additional authorship issues. Remember when we recently found PLOS ONE had published two papers with “substantial overlap” from two different groups, that were edited around the same time? Well, we have discovered another similarly perplexing case of plagiarism in two studies published only months apart. But in this instance, we have a possible explanation for how two groups of authors from different institutions could report a similar experiment and data, and even use some of the same text. It also concerns a paper focusing on cancer biology — in this case, it’s a 2014 paper retracted by Clinical and Investigative Medicine after editors learned that it contained many similarities to a study published only a handful of months before in Tumour Biology. A major correction has been posted for an update to international guidelines on reporting outcomes of people receiving cardiopulmonary resuscitation (CPR). Circulation published the paper online in 2014; the correction was issued before it appeared in print, in the journal’s September 29, 2015 issue. “When reviewing the final proof for print publication, the author noticed some errors and requested changes,” according to a spokesperson for the journal’s publisher, the American Heart Association. We’ve stumbled upon a trio of retractions published in August, 2013 from BMJ Case Reports for “redundant publication” to a group of researchers based in India. Editors found that the reports, which were published between 2012 and 2013, had considerable “overlaps” with articles that had been published in other journals. Although one of the retracted authors was also an author on one of the overlapping articles, the rest of the authors have no obvious connection to the previous work. The authors of the three retracted papers are based at the Modern Dental College and Research Centre in India. A case report that detailed the removal of a cyst from the side of a young woman’s face has been retracted for plagiarizing text from a similar case report published two years earlier. Contemporary Clinical Dentistry posted the notice on July 31. Parts of the 2014 report were “directly copied” from a report published in 2012 by the Journal of Oral and Maxillofacial Pathology. Neither of the reports share authors in common. A journal has issued a rather large correction — what we call “mega-correction” — to a 2014 paper on a gastric cancer biomarker that fixes problems with several of the study’s figures. The paper, “TMEFF2 Deregulation Contributes to Gastric Carcinogenesis and Indicates Poor Survival Outcome” explored the role of TMEFF2 in gastric cancer. The researchers found that the protein acts as a tumor suppressor, and low levels can indicate the presence of cancerous cells. A review journal is pulling a 2013 article about advances in researchers’ understanding of cholesterol after seeing the same article in another journal. Although the retracted paper appeared first — online in Biological Reviews in February, 2013 — the journal decided to retract it after learning the authors had initially submitted it elsewhere. The first submission was eventually published (with the exception of one author) in 2014 in Frontiers in Bioscience. Authors of a study on a potential biomarker for ovarian cancer have been hit with two retractions after the results were published twice. We don’t usually see both copies of a duplicated paper retracted, but this is a somewhat unusual case. 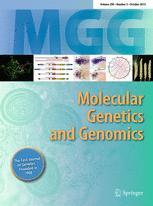 In November 2011, a group of authors submitted the paper to Gynecologic Oncology. But two months’ prior, the first author had decided to also submit the paper to the Journal of Cellular Physiology, without listing three of the other researchers, including the primary author on the paper. It was published by the Journal of Cellular Physiology first, then by Gynecologic Oncology, both in July, 2012. Jie Chen, first author on both articles, “takes full responsibility for the dual submission” and “other co-authors should be exempted from all responsibilities,” as the retraction notice from Gynecologic Oncology explains.